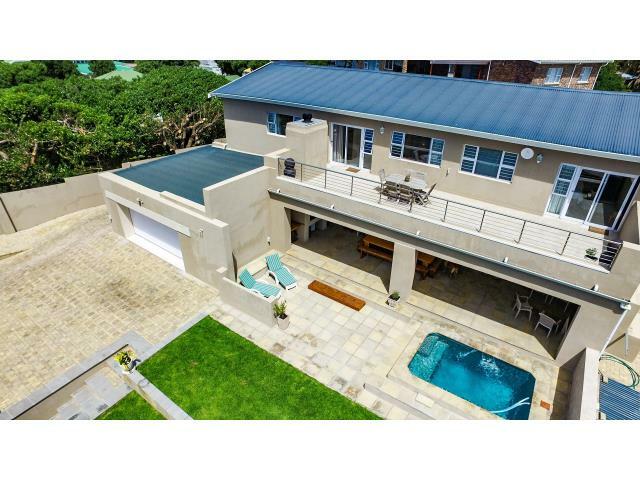 This magnificent, modern home, is ideally situated in Kenton on Sea and is very close to the river and beach. 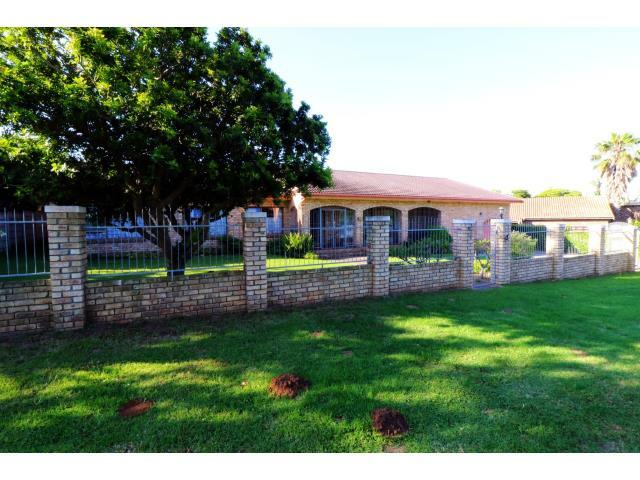 An entertainers dream with large open plan lounge, dining area, kitchen with scullery, braai patio overlooking the swimming pool, a large pub room and separate lounges for the teenagers! 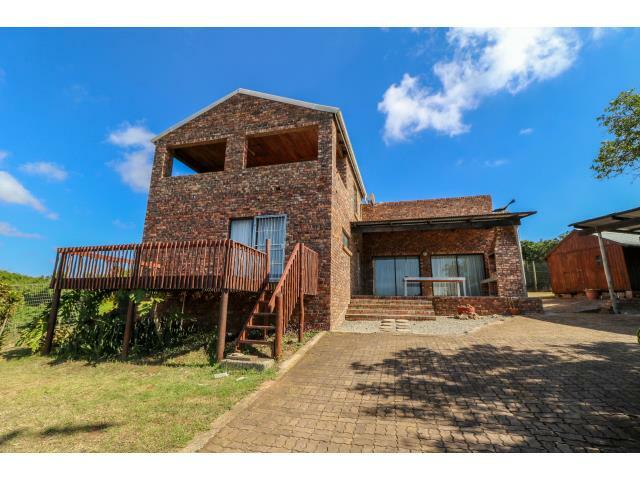 Upstairs is the master bedroom with MES, study, three more bedrooms – two of which also have on suite bathrooms, separate bathroom and an additional small lounge. The patio balcony has pleasing views of the ocean and river. 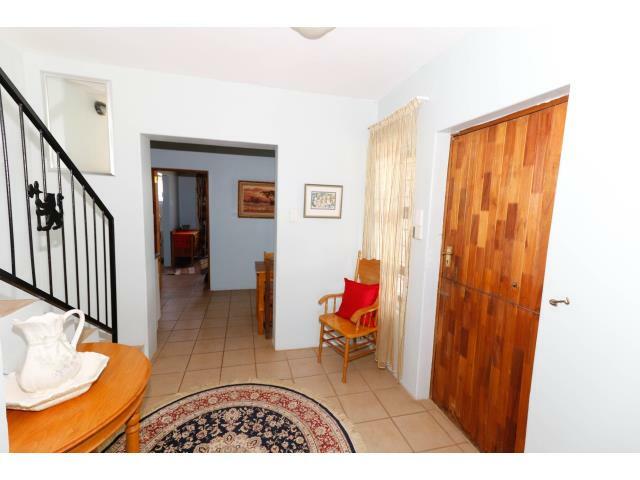 At the rear of the property is an additional bedroom with en suite bathroom. 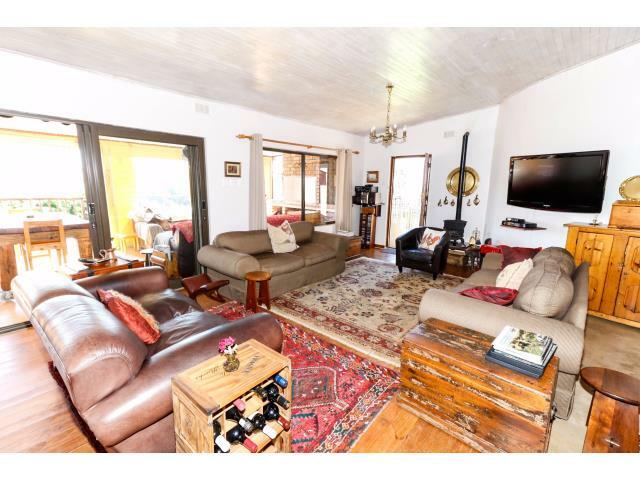 The double garage is larger than normal with ample packing space for the boating equipment, canoes and water skies. Fifty thousand liters of rain water allow the house to be independent from the municipal water supply. 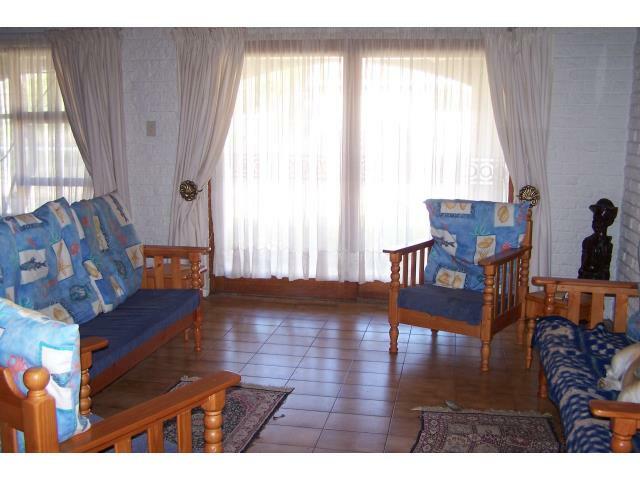 Altogether there are four lounge areas, five bedrooms, five bathrooms with four en suite, and a study. Truly an exceptional home where no expense has been spared. 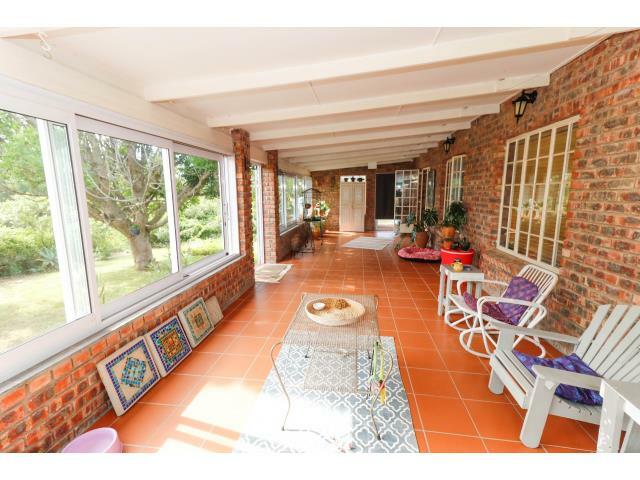 Set on a level stand in the suburb of Rivers Bend, this property is an ideal fix-me-upper! 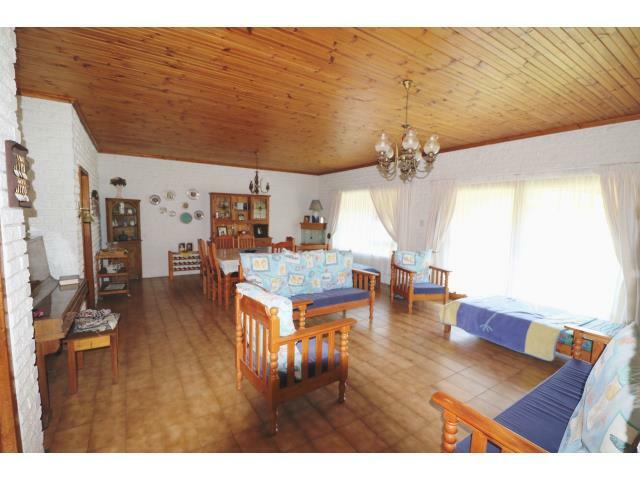 It has many pleasing features to turn it into your ideal holiday home. 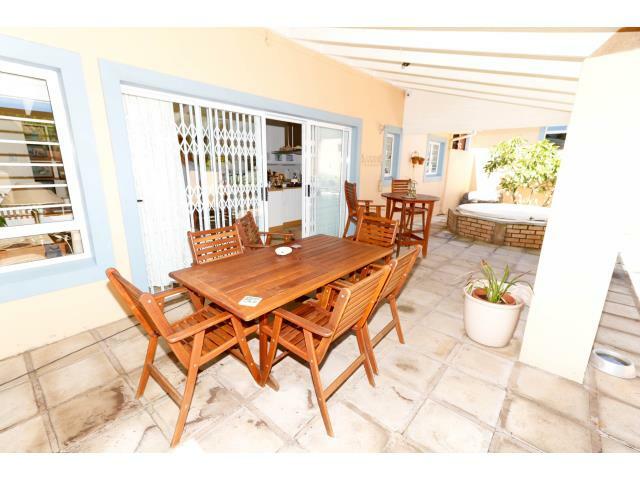 Lounge, dining area, kitchen, pub room off the undercover patio with built in braai, three bedrooms with MES, separate additional bathroom, and double garage. 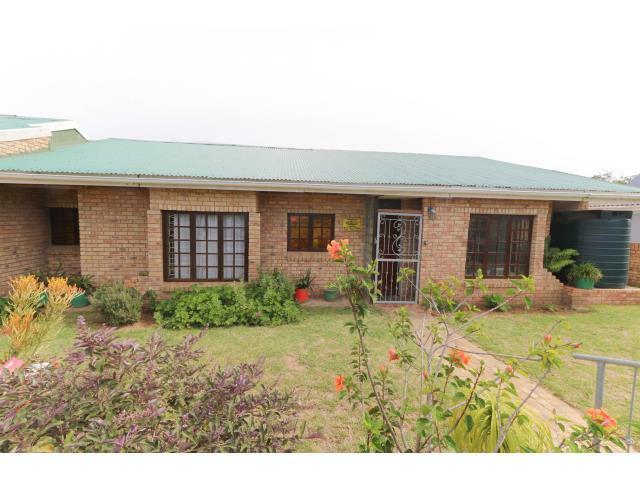 The bonus is a self-contained flat with lounge, kitchenette and bedroom with bathroom which could be rented out to bring in additional income. Make an offer today! 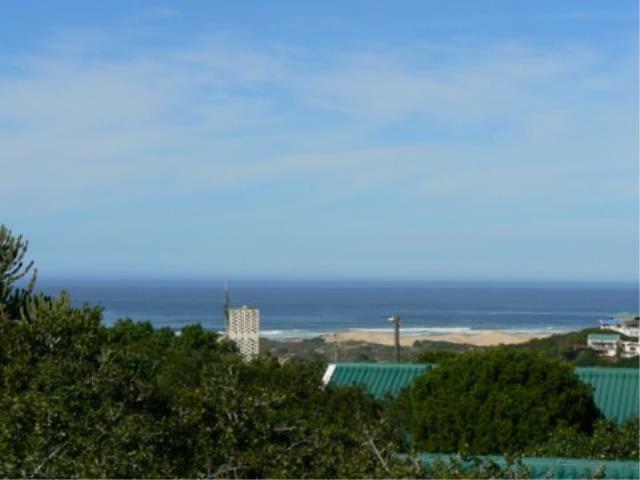 Beautiful lifestyle farm with sea views situated in the middle of a proclaimed 1850ha provincial Heritage site. 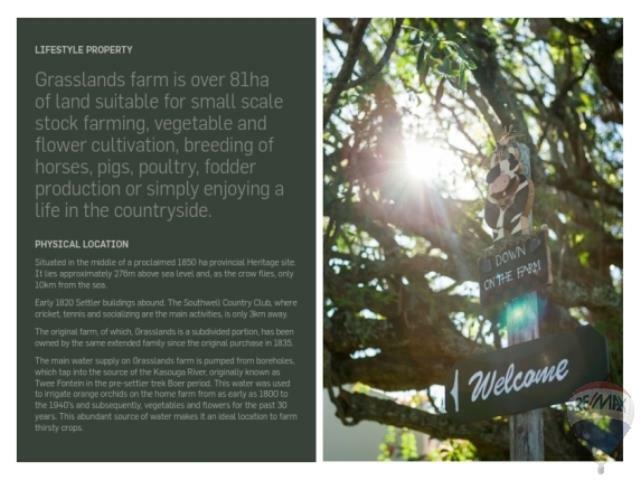 This 81.07ha farm lies approximately 276m above sea level and, as the crow flies, only 10km from the sea. 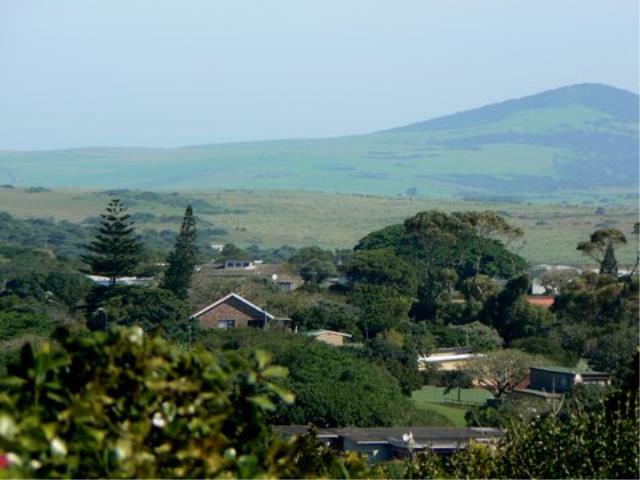 It is a mere 20 minutes drive to Port Alfred and Kasouga, 25 minutes to Kenton on Sea and 35 minutes to Grahamstown. 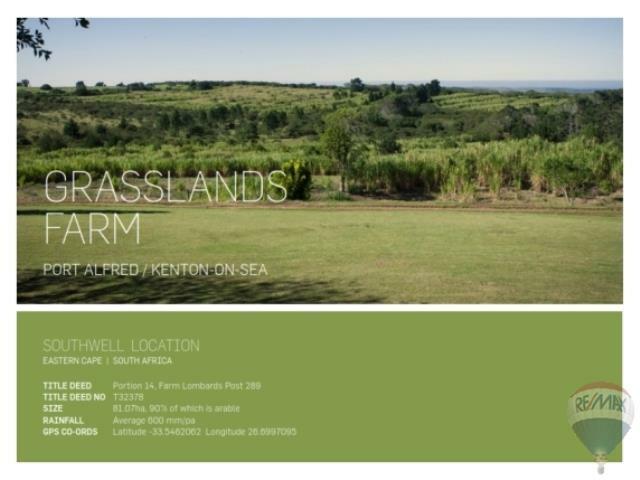 The farm consists of mainly grass (sour veldt) and indigenous bush. There is plenty of water as there are 3 boreholes, 2 of which pump 9000liter per hour and there is in addition, a 24000 cubic litre dam. What a find! 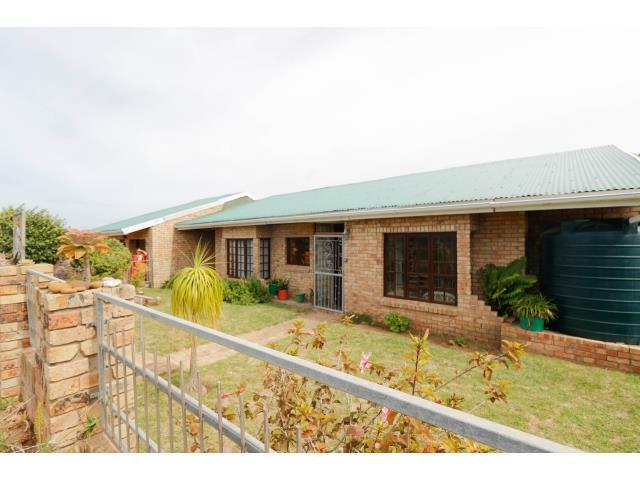 This low maintenance family home has plenty to offer with separate entertainment areas for both adults and teenagers and plenty of accommodation. 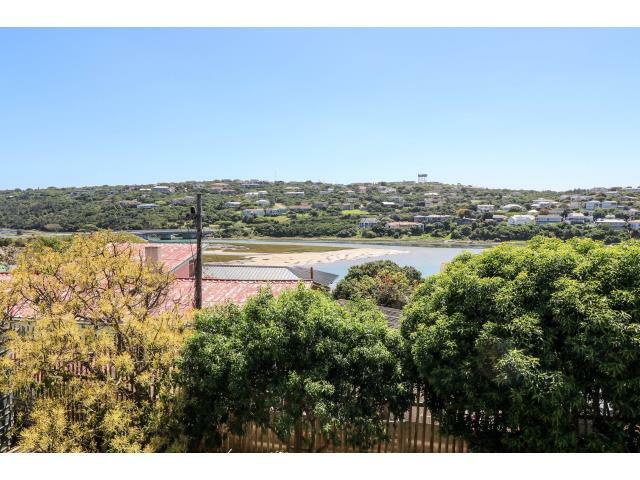 Set in Park street with pleasing views of the Bushmans River. 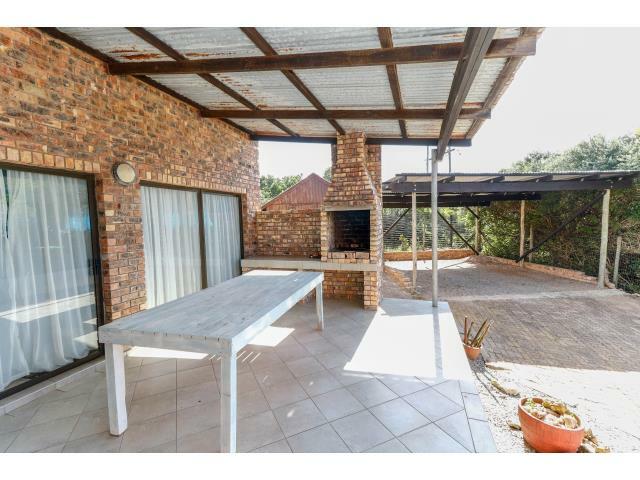 Large open plan lounge, dining area and kitchen, covered patio with built in braai and fold down blinds, deck, huge pantry and scullery, laundry, two bedrooms and bathroom. The teenagers have their own pad with lounge, games area, bedroom and bathroom. 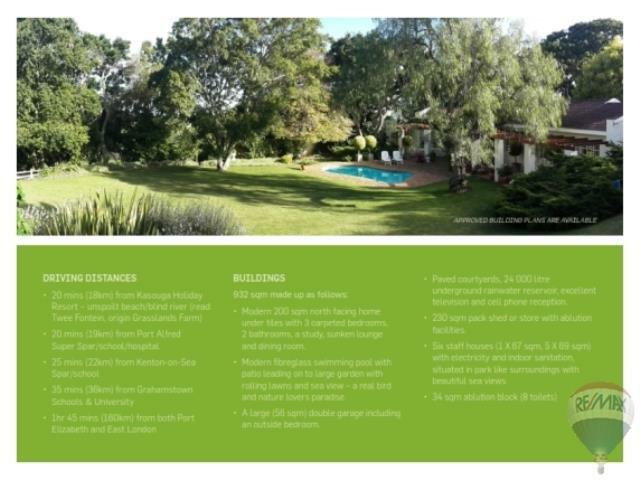 Outbuildings comprise additional accommodation with a very large dormitory (sleeping 6-8 people) with its own bathroom, additional bedroom and bathroom and a gym (which could be used as an additional bedroom if need be). 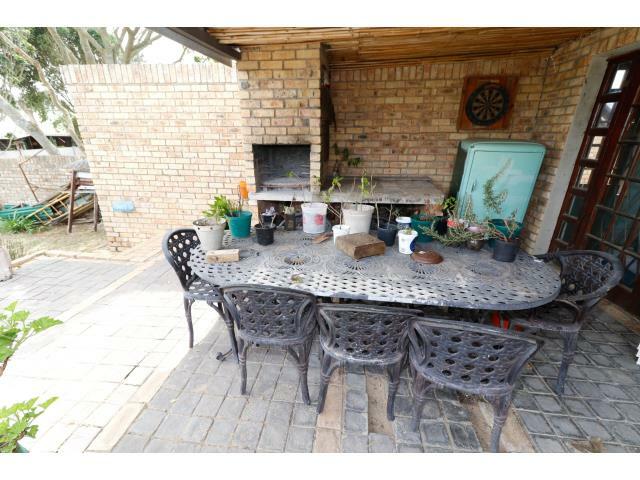 This is a wonderful home waiting for a new owner to enjoy it! 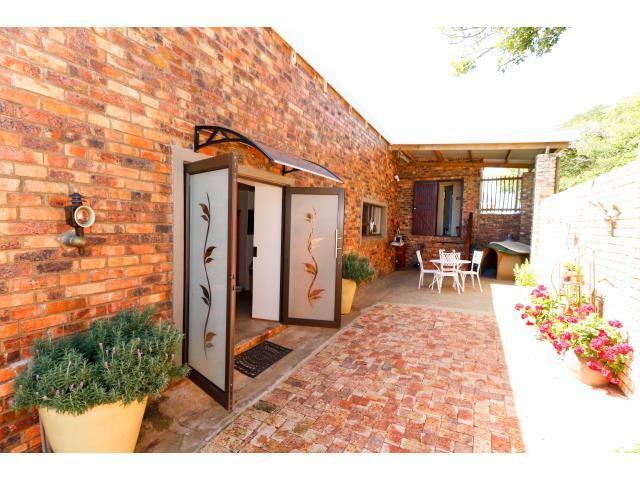 New on the market, this lovely home has plenty on offer and is an entertainer’s dream! 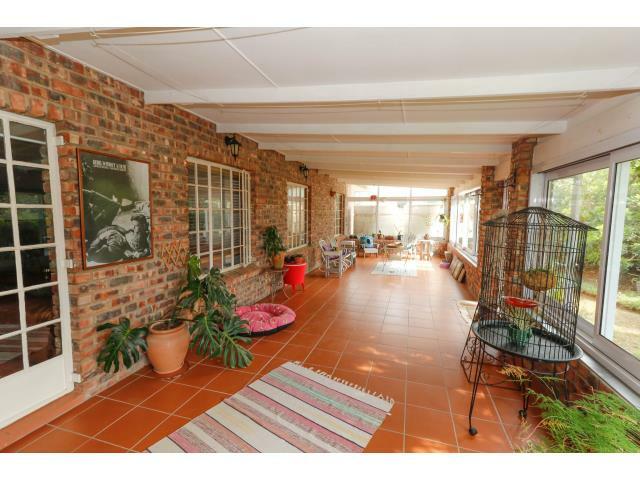 The double storey home is set on a level treed stand. 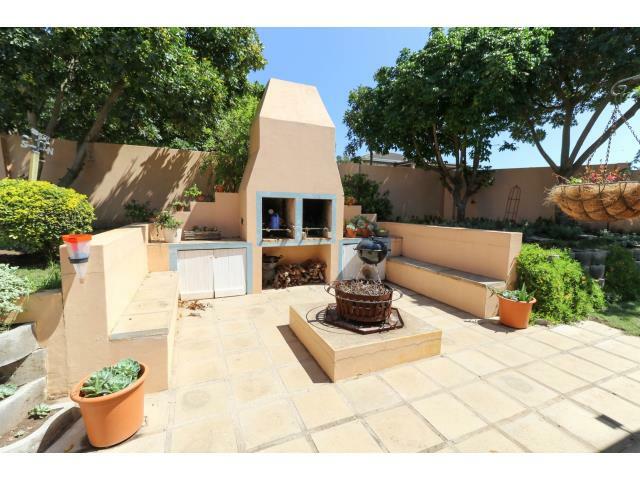 Downstairs is the open plan dining area, undercover patio, Jacuzzi, built in braai area, kitchen, scullery, two bedrooms and a bathroom. 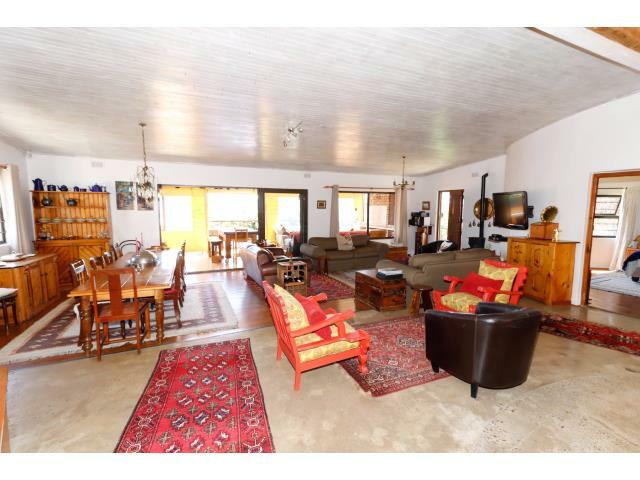 Upstairs is a large lounge with built in bar, large fireplace, guest toilet and the master bedroom with full en suite bathroom. 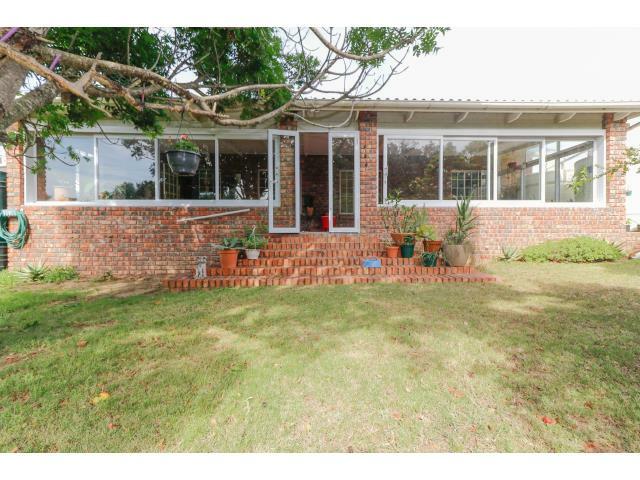 Both the lounge and master bedroom have sliding doors which lead out onto the covered deck from which there are sea views as well as pleasing views over the suburb. 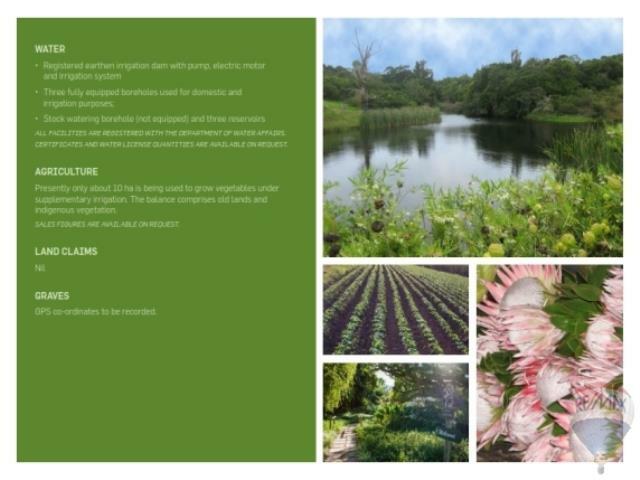 There is sufficient rain tank water (30,000l) with two ten thousand litre tanks and two five thousand litre tanks which are plumbed into the house plumbing. 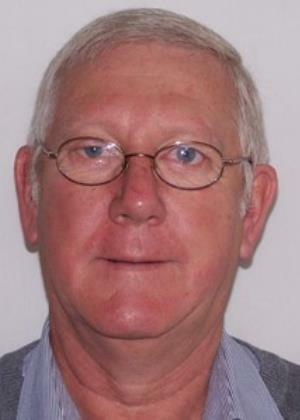 The property is secure and has CCTV cameras as well as beams and an alarm system. The double garage tops off this great home. A “must” on your viewing list! 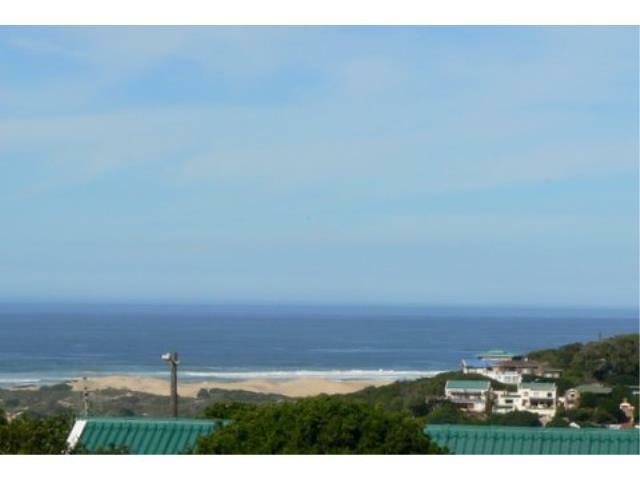 Fantastic views of the Bushmans River mouth and sea from this very low maintenance home. 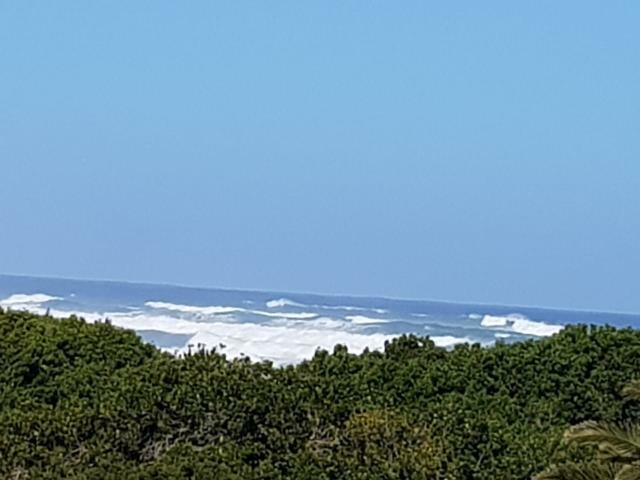 Large lounge and dining area, kitchen with scullery, undercover patio with built in braai (and sea views) three bedrooms all with en suite bathrooms and a covered balcony upstairs with panoramic river and sea views. Good security as it is next to the guard house at the entrance to this suburb which is manned 24/7. Two undercover carports and lots of off street parking. 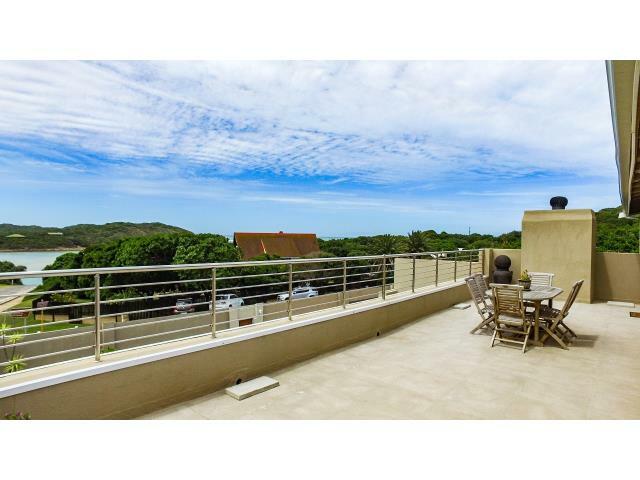 If you want views, then this is the house for you! 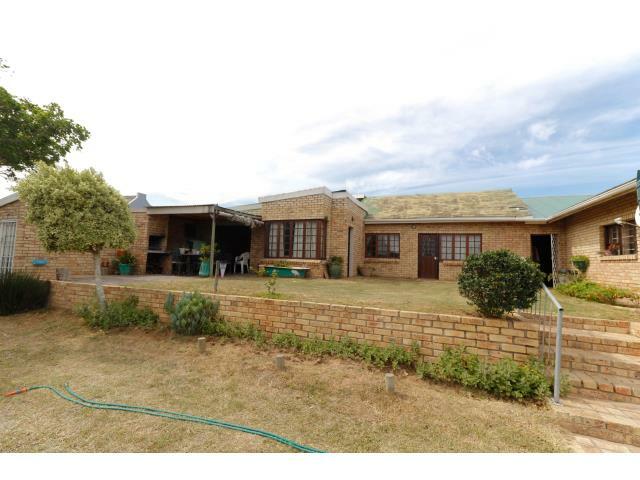 A large, level stand with two separate dwellings on it consisting of the following: The house has an open plan lounge, dining area and kitchen, separate scullery, three bedrooms, two bathrooms, a very large enclosed veranda, a double garage and an outside toilet and basin. 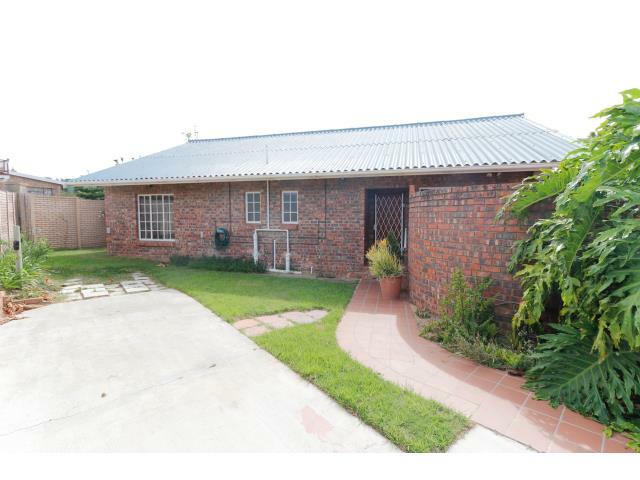 The cottage is a rondavel with lounge, kitchen, two bedrooms and bathroom, currently bringing in a rental income. 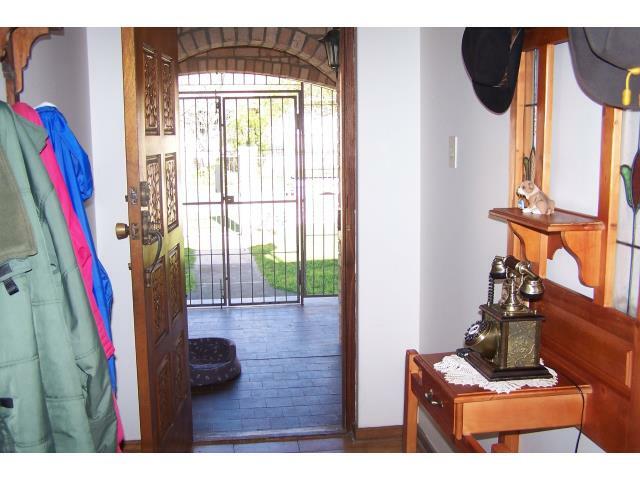 The property is fully fenced with two automated gates. 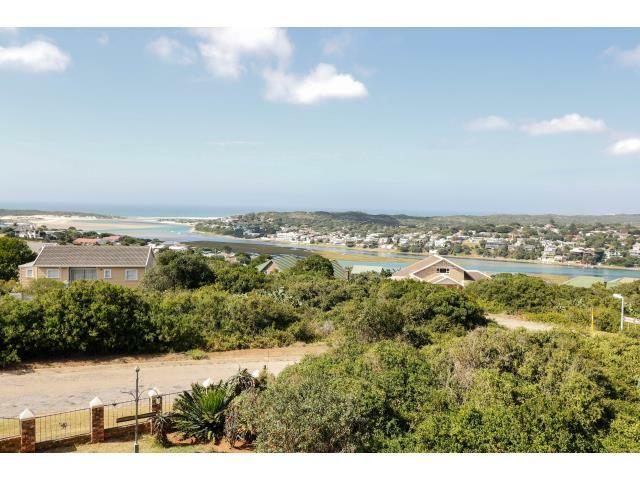 A low maintenance home in a quiet area of Bushmans River set on a large, fully fenced, level stand. 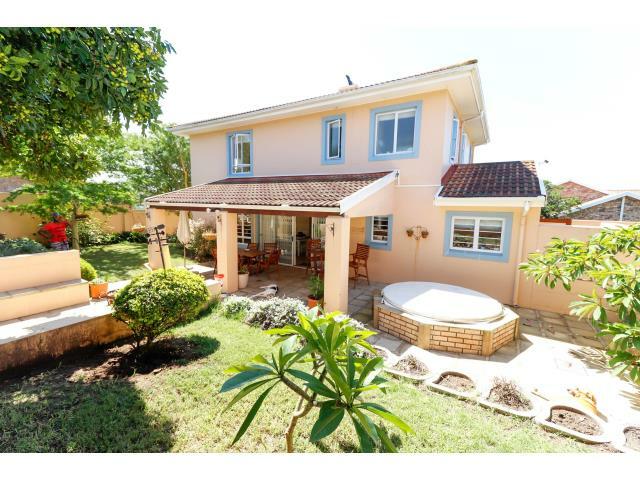 Entrance hall, secure enclosed balcony, open plan lounge/ dining room, family/TV room leading out to the patio with a thatched lapa, fitted kitchen, laundry, four bedrooms with mes, additional full bathroom and a separate one bedroomed flat with ses. Extra-large double garage. Automated driveway gate. 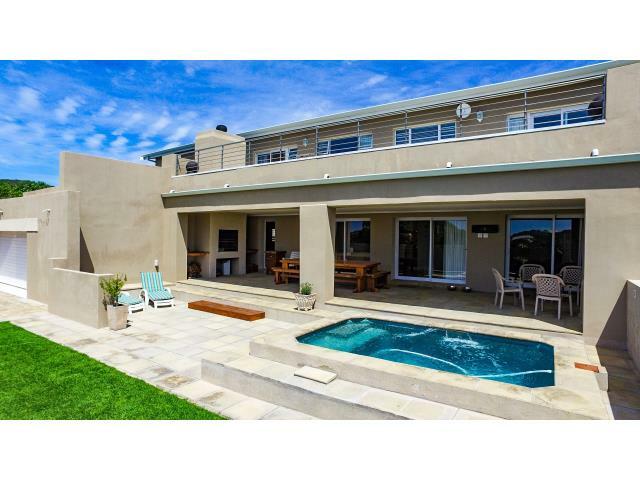 The property is also self sufficient water wise with a 55,000L rain water tank plumbed into the house. 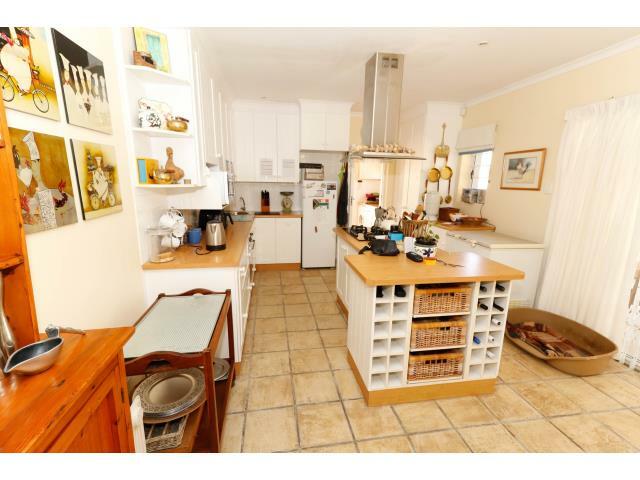 A LOT of house and excellent value! 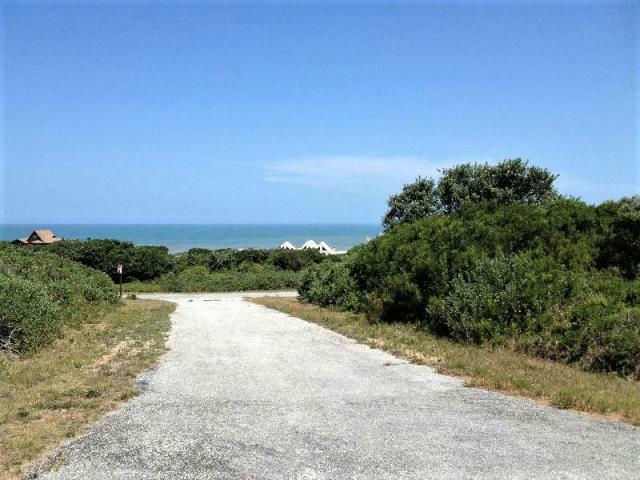 Come and build your dream house on this level North facing stand. 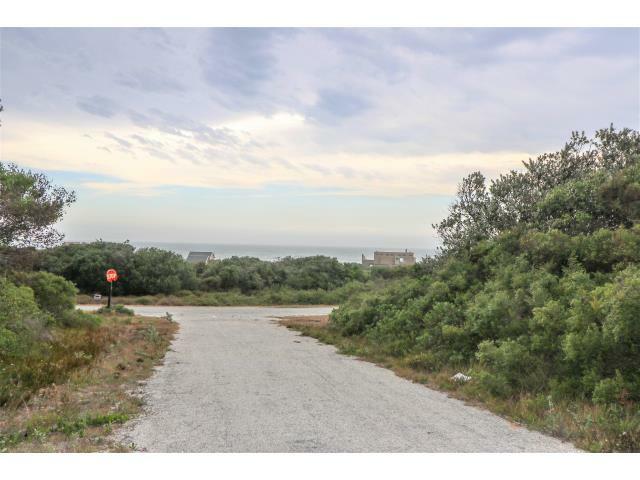 Build a double storey house and you will have South facing sea views as well! 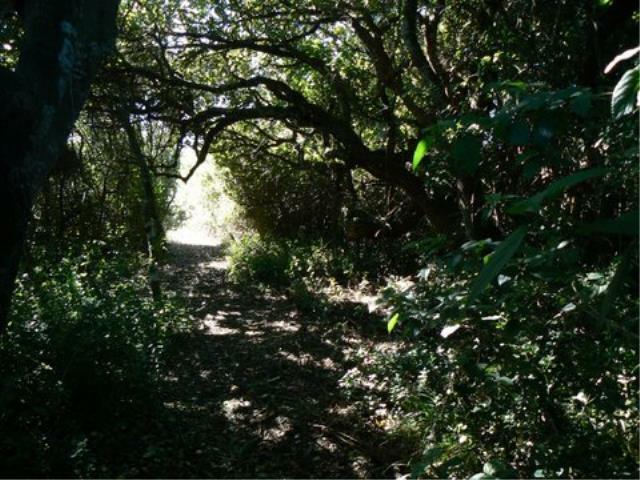 There is a large Milkwood tree on the property and some natural coastal bush. The plot is level so you are only limited by your imagination! 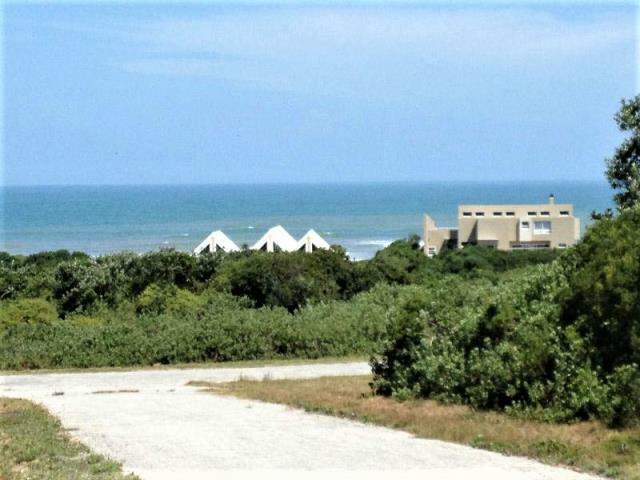 Come and build you dream house with a great sea view. 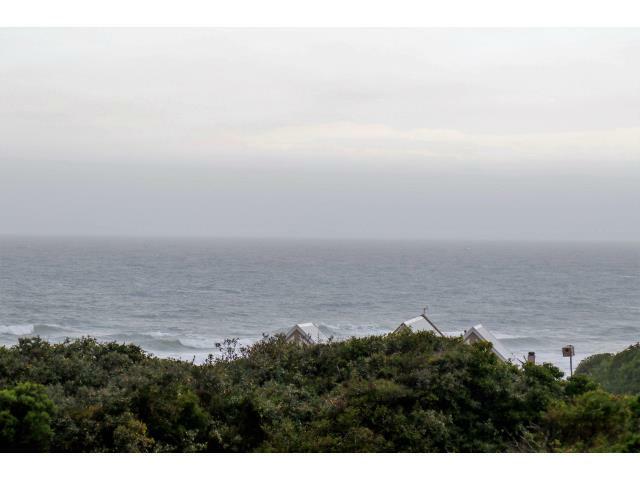 There are already architecturally drawn plans for a house specifically so designed, to maximize the sea views.